GDF Cofely chiller showing the debris collected after only two weeks. Responsible for system performance, Facility Managers struggle to deliver optimal efficiency with preventative maintenance and still balance the budget. Budget cuts and staff shortages force facility management departments to be more creative in planning and prioritising projects. Deferring equipment service may be tempting as a short term solution but leads to greater costs in the long run. Unavoidable environmental issues like air intake obstructions and debris buildup impacts equipment’s airflow and restricts heat transfer. Forced to run for longer cycle times at reduced capacity, operating costs will escalate, breakdowns will occur and equipment life expectancy will decrease. A dirty condenser coil reduces cooling capacity (10 ton AC system only provides 7 tons of cooling) and uses much more energy than equipment with clean coils. In areas with vegetation, trees and building sites, repeated cleaning is necessary. Delicate fins and coils require time consuming hand brushing and messy corrosive chemicals that can damage system components and the environment over time. 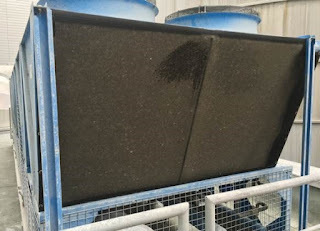 Costly cleaning is especially problematic when there are numerous sets of fins and coils located in hard to reach places or on roof tops without water access. Air intake filtration to prevent damage and blockage of the condenser coils is a simple, cost-effective method of reducing maintenance costs while optimising an HVAC system’s operating efficiency and lifespan. Contaminants like grass cuttings, insects, seedlings, dust and dirt are captured before they enter the system, and quickly brushed clean with a broom. 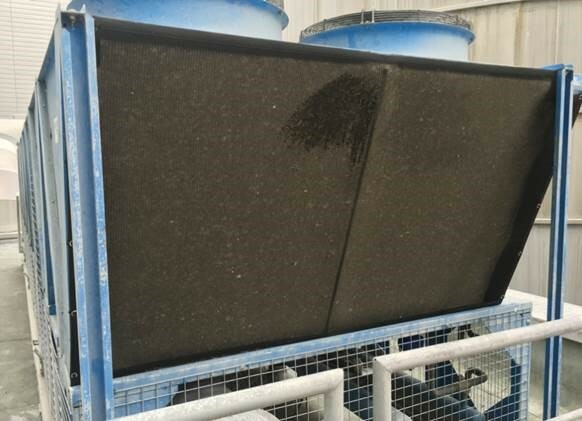 Permatron’s PreVent® air intake screens are custom manufactured for each application, ready in just days for easy installation and fitted to the individual equipment. Want to know more? Call 0800 999 5750 and talk to one of the team.